ted to draw more than 100,000 people to each location. During the Fall Hunting Classic, nationally recognized professional hunters, local pros and outdoorsmen and women will conduct seminars, answer questions and help hunters make the most of their fall hunting season. (Check local listings: pros, topics, dates and times may vary)**. The first 20 seminar attendees each day ages 18 or older will receive a free Bass Pro Shops tumbler. August 20 - Women’s Hunting Workshop 3 p.m. - Women are invited to a free seminar to learn hunting tips and how-to information on outdoor cooking and more. The first 25 women ages 18 or older will receive a free Bass Pro Shops tumbler. August 12 – 21 – Bow, crossbow and optics trade in. Hunters with bows, crossbows and optics, including riflescopes, can trade those items in at a participating Bass Pro Shops location. This trade-in event allows hunters to trade in bows, crossbows and optics for a coupon worth up to $100 off the purchase price of a new bow, crossbow or optics (excludes spotting scopes). August 20 – 28 — Game camera and hunting boot trade in. Hunters with game cameras and boots that don’t get a lot of action can trade them in at a participating Bass Pro Shops store during the Fall Hunting Classic. This trade-in event allows hunters to trade in game cameras for a coupon worth up to $100 off the purchase price of a new game camera. Hunters can trade in hunting or rubber boots for a coupon worth up to $40 off the purchase of new hunting boots. The game cameras, boots, bows, crossbows and optics are donated to local nonprofit organizations to help with outdoor education programs. Celebrating Sportsmen, America’s Conservation Heroes The Fall Hunting Classic celebrates the role hunters play in ongoing wildlife conservation efforts. Hunters are the largest contributors to wildlife conservation through the hunting licenses, tags and stamps they buy. Another important source of funding for state wildlife conservation efforts are the excise taxes sportsmen and women pay on firearms, ammunition and archery equipment through the U.S. Fish and Wildlife Service’s Wildlife and Sport Fish Restoration program (WSFR). In 2015, WSFR provided $1.1 billion through the sale of hunting and fishing equipment to support habitat conservation and outdoor recreation. Since the program’s inception 78 years ago more than $18 billion have been distributed to states for this great work. Those dollars, combined with hunting license fees, provide more than 75 percent of the funding for most state fish and wildlife agencies. Sportsmen and women contribute nearly $8 million to conservation every day through license fees, stamps, permits, excise taxes, and contributions to conservation groups. For more information about the free Bass Pro Shops Fall Hunting Classic, go to http://www.basspro.com/classic or visit your local Bass Pro Shops. 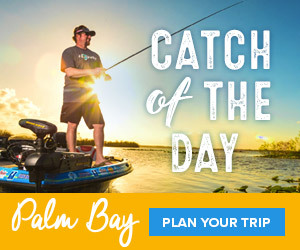 * Store not participating in this event includes location in Islamorada, Florida. ** Pro appearances, dates, topics and times subject to change. ****Contest rules: Customers may also enter to win online at http://www.basspro.com/. One Grand Prize winner will be drawn nationally. NO PURCHASE NECESSARY TO ENTER OR CLAIM PRIZE. Open to legal residents of the 50 United States or District of Columbia who are 21 years of age or older at time of entry. Void where prohibited.